Where to shop Dankso shoes near me? Dansko is an equal opportunity champion of foot health. It’s no accident that Dansko shoes have become the choice of doctors, nurses, teachers, chefs and other professionals who stand for hours at a time. When it comes to work and comfort, Dansko knows best! So if your searching for Dansko shoes near me, you have come to the right place! At Lucky Feet Shoes, you can shop Dansko shoes both online and in-store. What Make Dansko Shoes so Comfortable? Dansko was founded in 1990 by wife and husband team, Mandy Cabot and Peter Kjellerup. Dansko believes that your feet are the foundation of your life. That is why every Dansko collection is based on the comfort principles of the clog to maximize all-day comfort. All Dansko footwear features a roomy toe box to promote circulation, a stress reducing rocker bottom, and superior arch support. The stylish Dansko shoes, Dansko clogs & Dansko sandals are great for all types of use. Styles range from work wear to fashionable heeled sandals. Dansko shoes can’t shorten your day, but they can reduce strain on the entire body. Their unique constructions support the whole foot – toes, arch and heel. To help people feel better for longer Dansko adds shock absorption, a rocker bottom and solid arch support to reduce any strain on your legs, back and feet. Comfort comes without compromise. Dansko shoes for men, women, and children use the finest materials and construction methods available. Underneath each pretty exterior lies a tough heart for years of dependable wear. Over the years Dansko clogs have become a staple in many households. Dansko strives to become everyone’s favorite shoe company by having a positive impact on each community they touch. They begin by treating their team members, retailers, customers and the people who craft Dansko shoes honestly and with respect. It continues with a single stream recycling, sourcing renewable materials and encouraging our team members to volunteer their time for special causes. You can join them too by making planet and people friendly choices every day. Shop Dansko comfort shoes, sandals, heels, clogs, boots and more! Where to Buy Dansko comfort shoes, sandals, heels, clogs, boots and more! Come into any one of our stores, located in Anaheim Hills, Rancho Cucamonga, Riverside, San Dimas, Temecula and La Quinta! 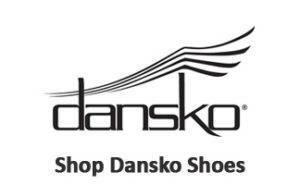 Visit us today and try on a pair of Dansko shoes! At Lucky Feet Shoes, we carry many Danko shoes near you; wide shoes, heels, sandals, and boots in our stores in Southern California. If you are looking for Dansko shoes near me in Orange County, the Inland Empire, Los Angeles County, Temecula or Riverside; we have nine stores to serve you! Come and visit us today! If you are looking for Dansko shoes in Anaheim, Anaheim Hills, Yorba Linda, Brea, Orange, Placentia, Fullerton, Irvine, Villa Park or Tustin; visit our store in Anaheim Hills and Costa Mesa. If you are looking for Dansko shoes in San Dimas, Glendora, Pomona, Covina, West Covina, La Verne, Azusa, Diamond Bar or Claremont; visit our store in San Dimas and Long Beach. If you are looking for Dansko shoes in Rancho Cucamonga, Ontario, Upland, Fontana, Rialto, Chino, Chino Hills, Mira Loma, Eastvale, Colton or San Bernardino; visit our store in Rancho Cucamonga. If you are looking for Dansko shoes in Riverside, Moreno Valley, Corona, Rubidoux, Loma Linda, Grand Terrace, Redlands or Norco; visit our store in Riverside. If you are looking for Dansko shoes in the Temecula Valley, Murrieta, Fallbrook, Lake Elsinore, Wildomar, Hemet, San Jacinto, Pala, Sun City, Menifee, Canyon Lake, Perris, Bonsall or Anza; visit our store in Temecula. If you are looking for Dansko shoes in Palm Springs, Palm Desert Indio, Coachella, Thermal, Vista Santa Rosa, Rancho Mirage or Bermuda Dunes; visit our store in La Quinta and Palm Desert.